Dr. Gerald Moore was a prolific artist who works across the mediums of sculpture, painting and drawing. His career as an artist evolved over several decades. 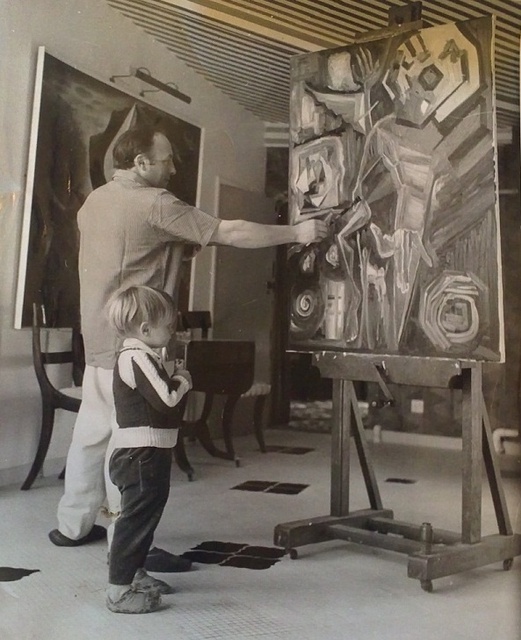 Since 1950, he exhibited his work widely, including at Whitechapel Gallery (1950), the Scottish National Gallery (1959), at Heal's Gallery with David Hockney (1961), Bath Festival (1982) and Cooperative K (Germany, 1994). The largest single collection of his work is now housed within the walls of Gerald Moore Gallery and works can be viewed on display at all times. Alongside his work as an artist, Dr. Gerald Moore published several written works. This includes an anthology of poems entitled The Singing Dust (1976), children's book The Cuckoo Who Flew Backwards (1977) and in 1982 he published his autobiography, Treading in Treacle. He passed away in March 2018 at the age of 91.